Need Interviewing Advice? Ask An Expert! Q- I am getting a lot of questions from job seekers regarding the many postings on the Internet and the very few responses candidates are receiving to their inquiries from both companies and recruiters. A- Even though this blog is mainly targeted to the interview process, I will also answer other questions from the job seeker. Many company recruiters are continuing to leave their postings on the Internet because they are either under staffed or lazy about managing their web site, or just mining resumes to add to their resume base when they start hiring again. I believe this is ingenuous and causes you to spend lots of your precious time responding to positions that are not even “real”. My suggestion is that if you do not get a response within 2-3 days, that you do your research and call the human resource department of the company who has the posting. Always be very polite because you can use this as an opportunity to present yourself in the best light. If you cannot get someone live, ask that you be connected to the internal recruiter’s voicemail. Leave a very upbeat message and ask for a call back. If you do not get a call back in 1-2 days, call back and ask to speak to the vice president or manager of the area in which you are applying…i.e., engineering, sales, marketing, customer service. If you speak to them live let them know you have submitted your resume for their (blank) position and believe you have the right skills for the position. If they indicate that HR is handling the screening of candidates, explain your experience to date. Ask them due to that experience could you send them your resume direct or meet with them personally to discuss your skill set. You will be often be very surprised at the activity this will produce with HR or the hiring manager if the job is “real”. Let me hear your success stories! Q - If the employer asks me to do a telephone interview, does that mean they are that serious about me as a candidate? Telephone interviews are a very common occurrences. Hiring mangers today have many demands on their time and the use of the telephone interview is a very common way to screen candidates from the process. If you have been asked to do telephone interview, don't feel slighted because there was something in your resume that got their attention. Prepare for the telephone with all the seriousness and attention to detail as you would a face-to-face interview. 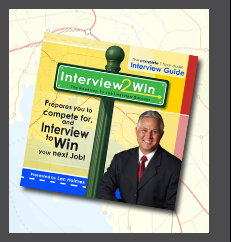 My Interview 2 Win audio CD covers interview preparation and the telephone interview....Now Go - Interview To Win!